When your floor was brand new you probably faithfully did all the recommended care and maintenance. Then time went on... life got in the way... some weeks you didn't do any cleaning of your hardwood floors. Or maybe you never really knew how to clean hardwood floors so you just swept it once in awhile and hoped for the best. You're not alone. We could all use reminders from time to time on how to keep our hardwood floor looking like new. Kermans Flooring in Indianapolis has you covered. Sweep or dust mop 2-3 times per week. More often if your hardwood is in a high traffic area. Sweeping helps remove debris that can be ground into your floor causing damage. Once a week vacuum using the bare floor setting to further remove damaging dirt. Review your manufacturer's warranty for a recommended floor cleaner. If your floor should not be cleaned with a floor cleaner but has scuffs or marks, use a damp (not wet) cloth to rub the scuff off and immediately dry. Another trick? Rub a tennis ball over the scuff mark until it disappears! 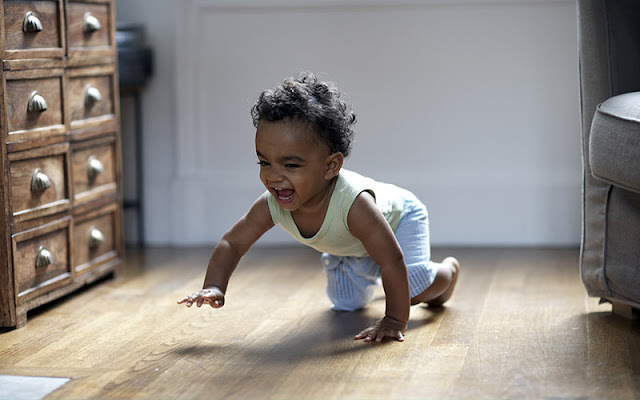 Every 3-5 years, inspect your floor to see how the top, protective coat is holding up. If you have visible scratches or wear patterns, it's time for a fresh top coat. Over time a polyurethane finish wears thin, especially in high traffic areas, and may need to be recoated or you'll end up exposing bare wood in the floor. Find other great maintenance tips as well as advice on handling spills, stains and scratches in our free Hardwood Maintenance Guide.